Christmas in Ireland is the largest celebration of the year and lasts from 24 December to 6 January, although 8 December is traditionally viewed as the start of Christmas with many putting up their decorations and Christmas trees, along with doing their Christmas shopping. The greeting for “Merry Christmas” in Irish is Nollaig hona Duit the literal translation of this is “Happy Christmas to you”. 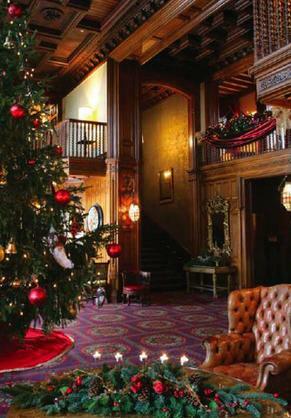 The traditional Christmas dinner consists of turkey or goose and ham with a selection of vegetables and roast potatoes. Desert would traditionally consist of a Plum Pudding, served with brandy being set alight and poured over it. The Plum Pudding would be cooked months ahead and hung in gause – in a cold place – to season and for all the fruit flavors to intensify. The table would be set with Christmas Crackers – party favors – Christmas cake, yule log and mince pies with equally rich sauces such as brandy butter. On Christmas Eve fish is traditionally eaten as a form of fasting before Christmas. Grafton Street, one of Dublin’s main shopping streets during the Christmas shopping season Irish people spend more and more money each year on celebrating Christmas. Still every town had their own “Grafton Street” for those who could not make it to the big city. Today, Christmas trees are erected by public authorities. The village of Slane had a Christmas tree inserted in 2008 for the first time that decade. Christmas trees officially go up on 8 December because according to Christian tradition the immaculate conception was on this date. Trees are a relatively new concept in Ireland. Fifty years ago few families had trees and the children found their gifts on the end of their bed Christmas morning. Back then Santa was called Father Christmas today Santa is recognized universally. In 1849 John Caldwell Bloomfield inherited the Castlecaldwell estate, which encompassed the village of Belleek, from his father. Mindful of the plight of his tenants in the aftermath of the potato famine he sought to provide some form of worthwhile employment. An amateur mineralogist, he ordered a geological survey of his land. To his delight it revealed the necessary raw materials to make pottery – feldspar, kaolin, flint, clay and shale. The village of Belleek, whose name in Gaelic, beal leice, translates to ‘‘Flagstone Ford’’, was a natural choice to locate the business, especially the part of the village known as Rose Isle. This small isle provided the best opportunity to unleash the yet untamed power of the River Erne – power to drive a mill wheel strong enough to grind components into Slip, the term applied to liquid potters clay. 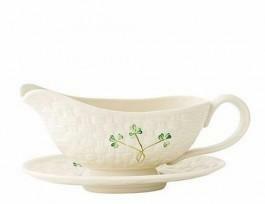 Irish Eyes carries a wide range of Belleek products and can get you any item in their product range. 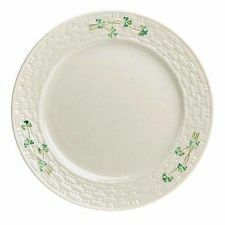 Why not stop by Irish Eyes and explore the entire Belleek Collection. by the wealth of history and folklore which is synonymous with Galway, the famous City of the Tribes. 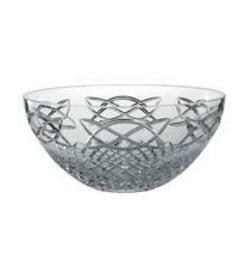 Irish Eyes carries a wide range of Galway Crystal products and can get you any item in their product range. Why not stop by Irish Eyes and explore the entire Galway Crystal Collection.